What is Bio Agro Oliva? 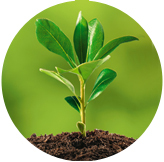 Bio Agro Oliva is an organic fertilizer with excellent soil improvement, fertilizing and plant protection properties. It is produced from the waste of olive oil production which includes olive leaves, olive stones and waste water (amurca). The production method is based on the composting process which enriches the organic material with microorganisms. The latter have been proved especially beneficial for the proper nourishment and health of plants. The particular production technology guarantees the exceptional and consistent quality of Bio Agro Oliva. All ingredients are of plant origin and have never come into contact with soil. This means that the product is basically free from animal and human pathogens, from weed seeds and plant pathogens found in soil. The product improves depleted fields and can improve problematic soil. Bio Agro Oliva is not just a source of plant nutrients. As an organic fertilizer, it also improves plant health and the soil as it contains high levels of organic matter and lots of different microorganisms. Bio Agro Oliva can be considered as “yeast”. Even in small quantities it has amazing effects. 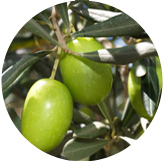 Bio Agro Oliva improves depleted fields and reclaims problematic soils. Bio Agro Oliva contains nutrients in a form readily available to plants. Nutrients are gradually released. No nutrients are lost through flushing or immobilisation. Bio Agro Oliva, with its beneficial microorganisms, reduces the growth of harmful microorganisms and insects in the soil, and breaks down substances that are harmful to humans and plants. Most olive oil mills pollute the environment with their waste as the latter biodegrade very slowly. 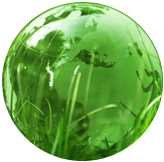 The Vlyssides method converts this waste to a valuable material: Bio Agro Oliva.